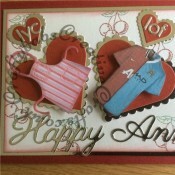 Hand made Anniversary cards can be as unique and individual as the recipients. Here are some I’ve made in a variety of styles. To see the full sized image and die details, just click on the thumbnail pics. 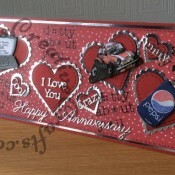 Don’t forget to look at the special dates section too as there are many more designs there that can be made for a general anniversary.